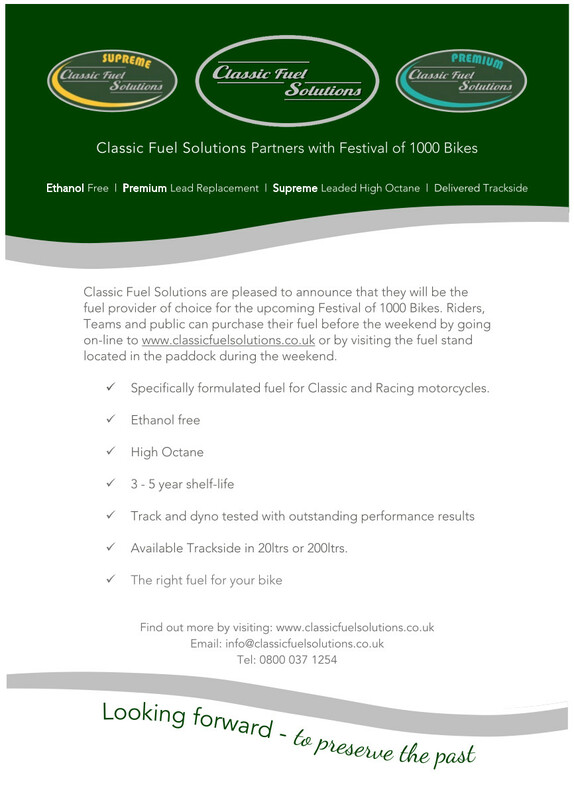 Thank you to everyone who attended the Festival of 1000 Bikes last weekend. We hope you had a wonderful time! 21/06/2018 - Apologies for the delay in sending out information. Rider packs and tickets will be sent out middle of next week. 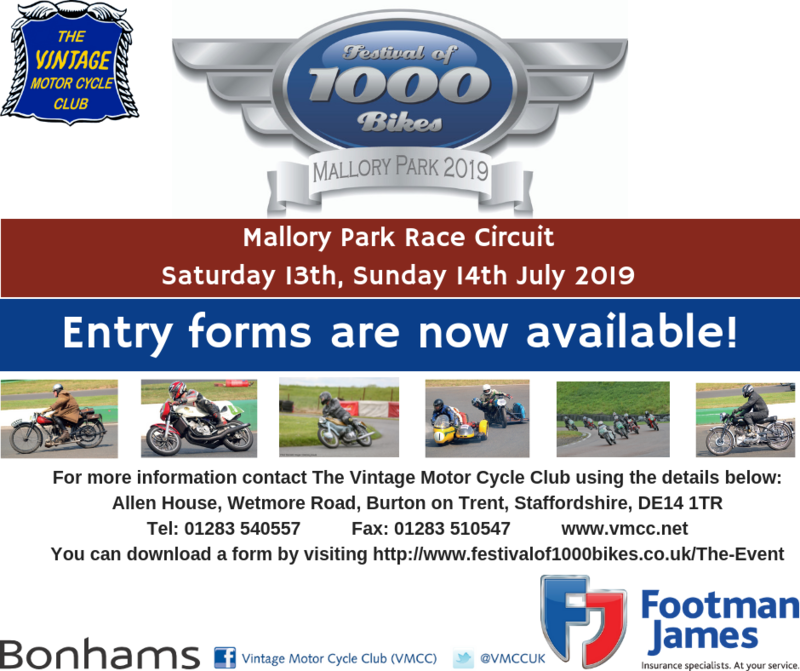 Please note: As all services are now arranged for The Festival of 1000 Bikes, there can be no refunds from today's date (18/06/2018) if you are no longer able to attend. The VMCC Sprint Section has managed to secure a visit by one of the UK's top drag race teams, that of Barry Eastman and Mick Hand. 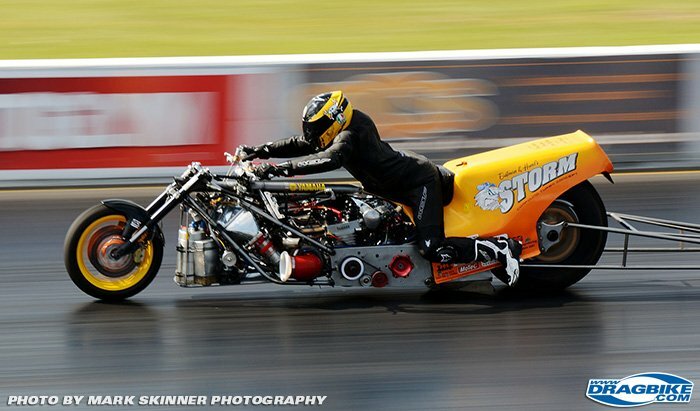 They will be here with their Funny Bike, 'Storm' ridden by Lorcan Parnell. We are talking a 1500cc, methanol burning, compound turbo Puma based machine. This bike is capable of running in the six second bracket on a fully prepared drag race track, but here at Mallory I think that is a long way off. What you will get is a great demonstration run showing you what the grass roots sport of Sprinting has developed into. 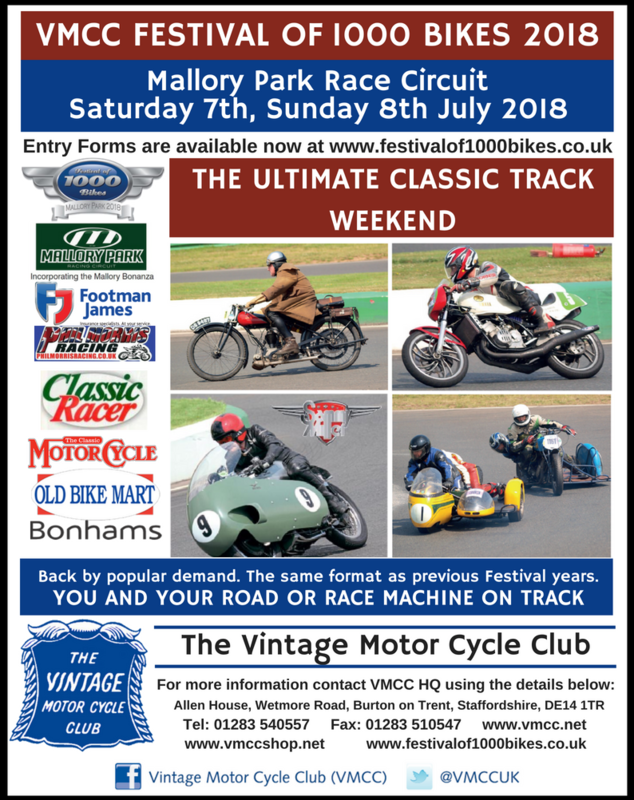 The VMCC is pleased to announce that The Festival of 1000 Bikes will be returning in 2018!! More information will be released in the next few weeks so watch this space! Track sessions sell out early. Entry forms will be available December 2017. 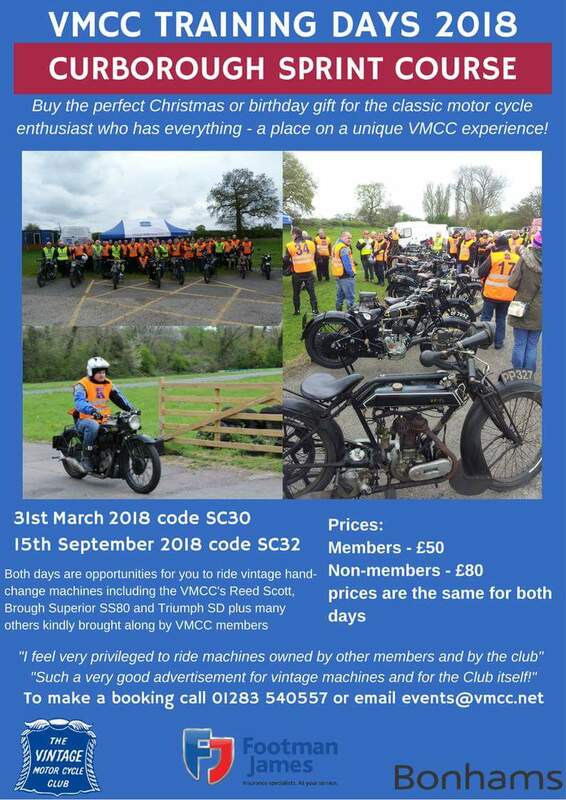 Dates for the VMCC Training Days 2018 have been confirmed! Spaces are limited so book yours soon! !